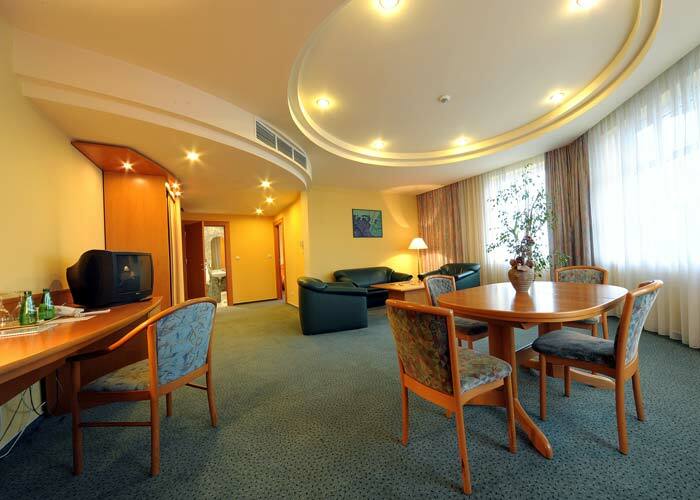 An exceptional apartment located over the Hotel’s main entrance. Views from it take in the courtyard and restaurant entrance. Uniquely, it has its own bar area in the reception room. It also has a roomy en suite bathroom (with shower and bathtub), and a separate toilet. 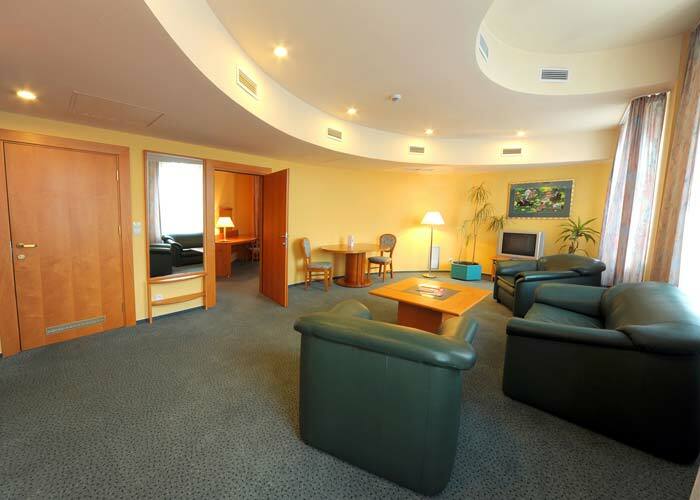 The most business-oriented suite. Located in a corner on the first floor, with a view of the hotel\s fountain. It contains a reception room and bedroom and separate bathroom and toilet. An interestingly designed suite located over the hotel’s other entrance. The beautiful pink marble bathroom has a bathtub and two entrances – from the reception room and bedroom.